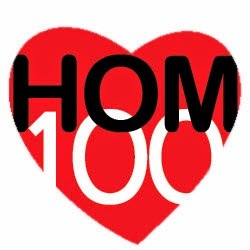 Hom 100: Why 100 miles? Tony dressed up as me for Halloween. 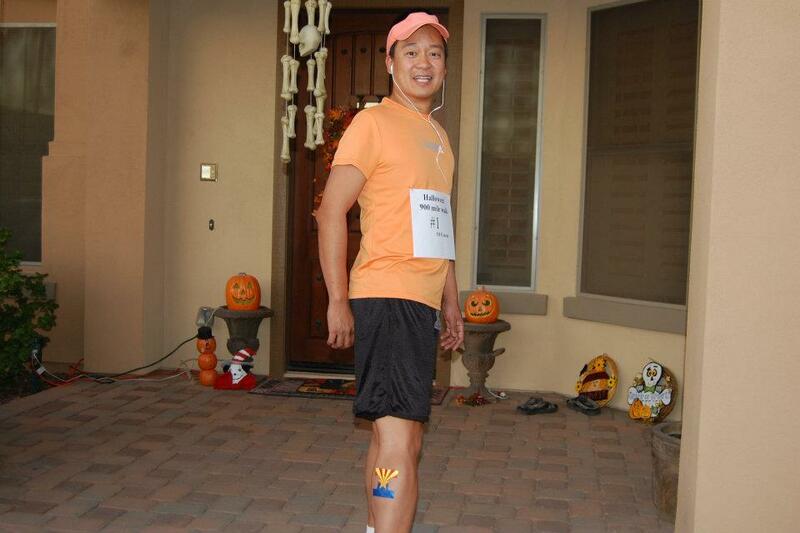 Complete with head lamp, race bib and tattoo! I did another interview with a local TV station today. It dawned on me that I drove 1.5 hours round trip to do a 15 minute interview but in the end, what matters is telling Tony's story and making people aware of ALS and what a cruel disease it is. I will do my best to post the story when it comes out. I've been asked several times why running 100 miles is significant to Tony or what made me decide that running 100 miles would raise the most money. The simplest answer I can muster is because it's bat-sh*t crazy. Are you going to donate $100 to someone who holds out their hand or someone that does something completely insane to earn your $100? Of the 1% of people who run ultra marathons each year, even fewer run 100 miles in memory of a friend or to raise money. I'd be lying if I said I didn't like being the crazy one in the neighborhood though...it's my brand of fun. But the honest answer is that I don't ever want to see someone suffer from ALS ever again. There is no way to adequately capture the downward spiral a patient goes through - anxiety, humiliation, fear and eventually the inability to control your own body. Being helpless to yourself is no way to live. So why do I run 100 miles? To run for those that can't. The press coverage we have for the run should be great - the article by KTAR, the upcoming press release in The Republic and my interview with FOX10 will definitely bring awareness to our efforts and the friend I continue to miss each and every day. I hope you'll join me this Saturday to honor my friend Tony and everyone else who can no longer run or walk because of ALS. Click the Date/Time or Course links above to participate in the walk or the Donate link to make a contribution to our team.